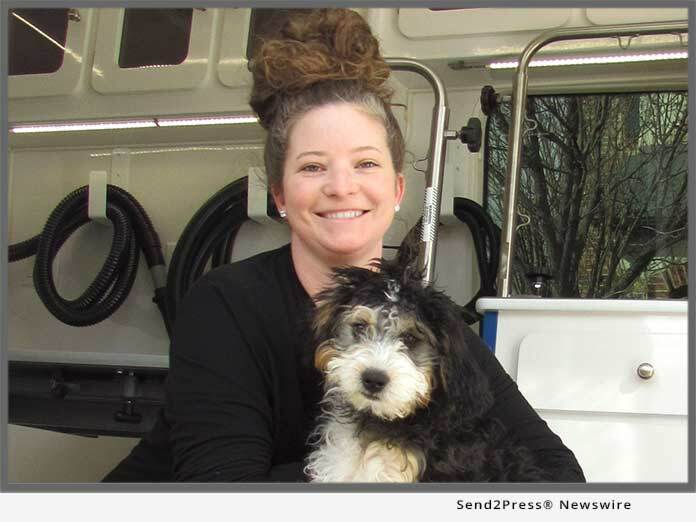 MCKINNEY, Texas, Mar 27, 2019 (SEND2PRESS NEWSWIRE) -- With over 10 years of experience, certified dog groomer Christin Boyte is bringing her family-owned mobile dog spa, Primped Pooches, to McKinney, Allen and Frisco, Texas. "To me, dogs are more than a man's best friend. They commit themselves fully to their humans and expect nothing in return. I made it my mission to not let their love go unnoticed. By providing premium dog grooming services, I know I can make a difference in their lives," said Boyte. As a certified dog groomer and dog owner, Boyte wanted her business to focus on the safety and well-being of her four-legged customers. "Some dogs hate car rides, and others have bad separation anxiety," she said. "I knew I needed a solution that provided a relaxing and comfortable space for them and that allowed me to give them my undivided attention. That's how the idea of a mobile dog spa was born." There are many advantages to a mobile dog spa like Primped Pooches. Forget about going through the hassle of driving with your dog every six weeks to get them a haircut. Primped Pooches comes to you! The service only takes one four-legged customer at a time, which means your pup gets the groomer's undivided attention for the duration of their appointment. With all state-of-the-art equipment inside their vans, there's no need for kennel dryers or cages. The van also has electronic grooming tables that conveniently go up and down to accommodate senior clients.